Small volumes of KL elisa kit vial(s) may occasionally become entrapped in the seal of the product vial during shipment and storage. If necessary, briefly centrifuge the vial on a tabletop centrifuge to dislodge any liquid in the container`s cap. Certain products may require to ship with dry ice and additional dry ice fee may apply. MBS2886510 is a ready-to-use microwell, strip plate ELISA (enzyme-linked immunosorbent assay) Kit for analyzing the presence of the Klotho, ELISA Kit target analytes in biological samples. 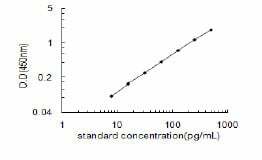 The concentration gradients of the kit standards or positive controls render a theoretical kit detection range in biological research samples containing KL. The ELISA analytical biochemical technique of the MBS2886510 kit is based on KL antibody-KL antigen interactions (immunosorbency) and an HRP colorimetric detection system to detect KL antigen targets in samples. The ELISA Kit is designed to detect native, not recombinant, KL. Appropriate sample types may include undiluted body fluids and/or tissue homogenates, secretions. Quality control assays assessing reproducibility identified the intra-assay CV (%) and inter-assay CV(%). NCBI/Uniprot data below describe general gene information for KL. It may not necessarily be applicable to this product. Klotho: May have weak glycosidase activity towards glucuronylated steroids. However, it lacks essential active site Glu residues at positions 239 and 872, suggesting it may be inactive as a glycosidase in vivo. May be involved in the regulation of calcium and phosphorus homeostasis by inhibiting the synthesis of active vitamin D. Essential factor for the specific interaction between FGF23 and FGFR1. Defects in KL are a cause of hyperphosphatemic familial tumoral calcinosis (HFTC). A severe metabolic disorder that manifests with hyperphosphatemia and massive calcium deposits in the skin and subcutaneous tissues. Some patients manifest recurrent, transient, painful swellings of the long bones associated with the radiographic findings of periosteal reaction and cortical hyperostosis and absence of skin involvement. Belongs to the glycosyl hydrolase 1 family. Klotho subfamily. 2 isoforms of the human protein are produced by alternative splicing.